We invite you to come and see our one and two bedroom apartments for rent in Lakewood, Colorado. Our luxury apartments have all the necessities required to make life comfortable and convenient.  We understand that life is busy, so we try to make living here at Lakeview Towers at Belmar convenient. 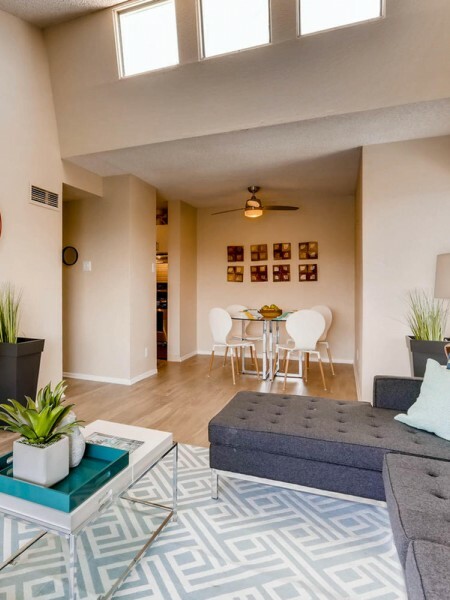 Each of our top floor apartments has vaulted 9’ ceilings making your home feel spacious. If you want, you can walk down to the fitness center and get a workout in by utilizing the free weights, treadmills, and weight machines. You can get a sneak peak of the fitness center on our gallery page. Other great features of our apartments for rent include walk-in closets and private patios or balconies, giving you a wonderful view of Lakewood. Our controlled access community provides the best with an on-site management team that can help you get a short term lease or receive a package for you. Lakeview Towers welcomes your pet! Our apartments accommodate up to two pets per home with no weight limit and has fishing and walking trails that you can use at your leisure. 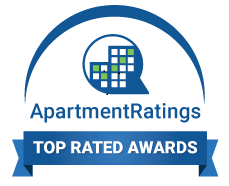 We are confident you will love our luxury apartments in Lakewood, Colorado. Call our leasing office and schedule a tour so you can move into your own one or two bedroom apartment!